Ship to Eureopan by UPS,around 10-15workdays arrive,including tax. Ship to Austrilia by air special line,around 5-15workdays. Ship to Korean,Japan by truck,3-10workdays,including tax. Ship to USA,CANADA by Fedex or UPS,7-15workdays,including tax. The Scooter is the ideal long-distance commuter boasting one of the furthest single charge ranges of any electric scooters available on the market. At only 21kg, it also boasts a compact, easy lock-down/up folding system allowing for it to be easily stored and transported. Standard features on the 400W include the ergonomically designed, easy to remove seat that along with 10inch street tyres and strategically placed suspension ensure hours of smooth and safe riding comfort. 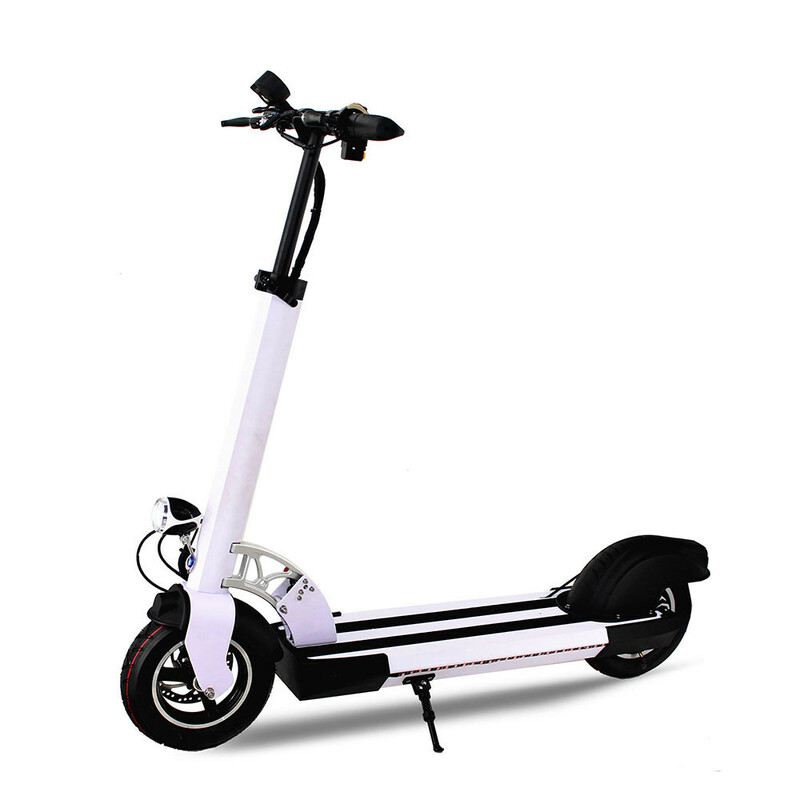 The 400W also comes standard with 18AH 48V lithium batteries, increasing the travel range to over 80km and substantially reducing the overall weight.